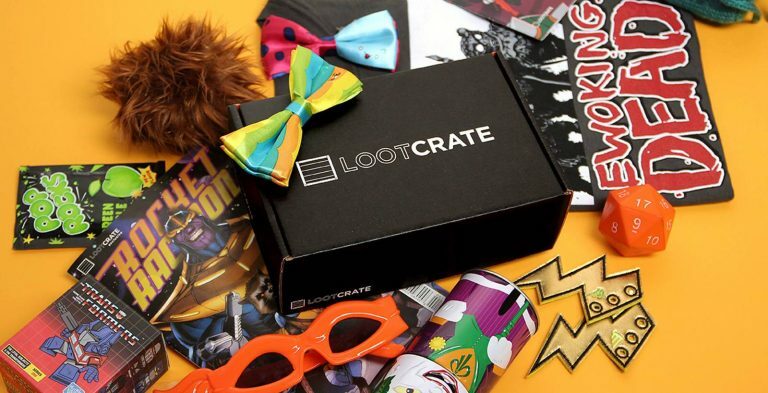 Lootcrate is a perfect monthly subscription box for those who are searching for geeky and gaming treasures. 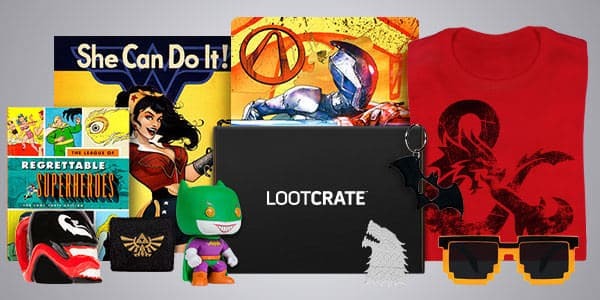 These epic mystery boxes are curated specifically for you with anything from the world of Sci-Fi and Fantasy to Anime. For under $20/month (on average), getting Lootcrate delivered straight to your door is one way to amp up the stakes in your life and add in a worthy element of surprise! 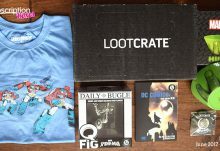 Crates can contain wearables, collectibles, t-shirts, vinyl figures, figurines, household items, comic books, and utilities. 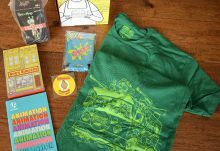 If you’re looking for Lootwear like awesome wearables, socks, tees, and more, the Lootwear box starts at $8.00 USD/month gets you great gear at an even better value. Customizing plans is easy. Choose from one month, three month, six month, or twelve month options and look forward to receiving 4+ items of your favorite pop culture franchises. Boxes will be tied together with a unifying theme, which changes each month. Specialty boxes are for those who love to celebrate worlds other than our own. Prices for specialty boxes vary. 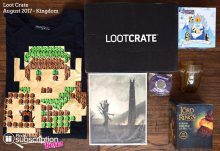 Magical Memorabilia from J.K. Rowling’s Wizarding World is one Lootcrate option that will be delivered every other month for $37.99 USD plus shipping, while the Halo Legendary Crate which celebrates the best moments in the Halo Universe is $34.99 USD plus shipping and is delivered every other month as well. Ships To United States, United Kingdom, Canada, France, Germany, Japan and many more countries.